Since a new cycle of violence hit the city of Bambari in May 2018, there are many stories like C’s testimony. Forty thousand people were already living in IDP sites inside and on the outskirts of the city, but 3,000 more had to leave their homes between May and June to flee the fighting. The relative period of calm that Bambari had known following the UN MINUSCA2 disarmament operation in February 2017 was completely shattered on 14th May 2018. Armed groups rapidly retook control of the city. Now, two armed groups control one part of the city, with the Ouaka river drawing a natural border between both sides and communities. But, on either shore, people’s belongings are the main target of the armed men wandering the town. 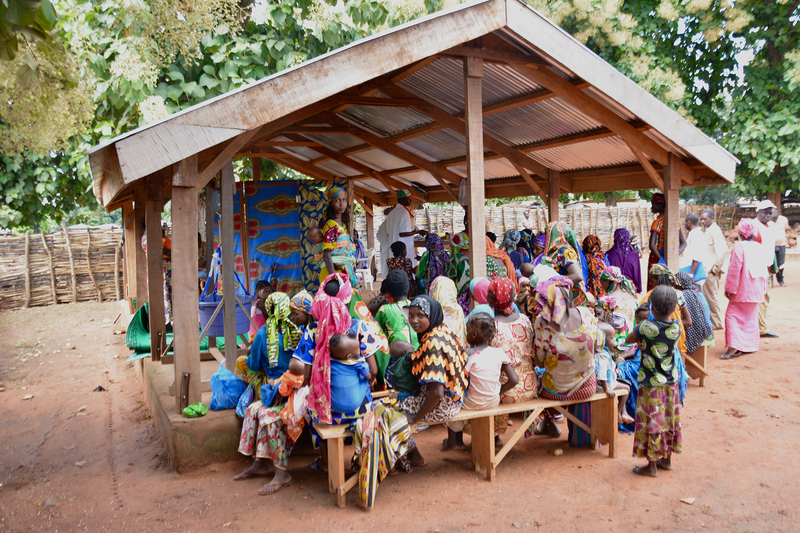 Violent crime has become a daily reality for the inhabitants of Bambari. “The problem we face now has nothing to do with religion or ethnicity; people are harassed and assaulted because of what they own. I don’t face any trouble anymore, but it’s because I have nothing left: no money, no bicycle, no motorcycle, not even a cellphone,” says C.
The MSF hospital is located in between these two zones. Staff there have seen the results of this pervasive violence. They have treated over 70 patients with gun or bladed-weapon wounds since May. A is one of them. He is Muslim and was caught in between gunfire along with his brother, who was killed instantly. A. was injured by a bullet in the leg. While he was being treated at the hospital in Bambari, he saw groups of armed men enter the facility twice. “The first time was on 15th May. Armed men entered the hospital and we hid under our beds. The Christian patients helped us and fortunately, the hospital staff persuaded the group not to enter the room we were staying in,” he remembers. “Three weeks later, another armed group entered the hospital. This time, as soon as we heard that they were coming, we fled. We were too worried about what could happen. Because I couldn’t walk with my wounded leg, people put me on a blanket and carried me.” After this double incursion, 21 shell casing were found inside the hospital. As well as those wounded in the fighting, general access to healthcare is also being impacted by the new violence. 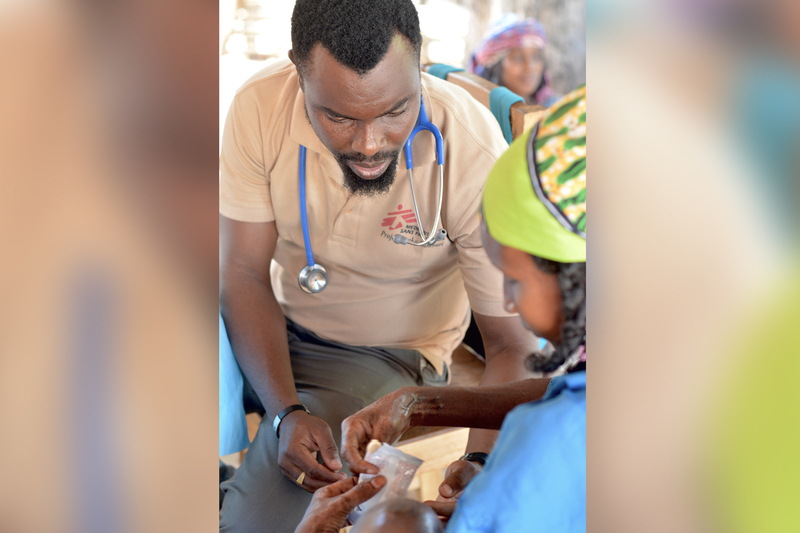 Because of the insecurity, the MSF-supported health centre, located in the Elevage neighbourhood, had to stay closed for more than a week, depriving residents of local primary healthcare. Armed men took advantage of the closure to loot the centre, stealing, among other things, the fridge in which vaccines for children and pregnant women were stored. Over the past few weeks, the fighting has reduced to sporadic gunshots and traffic in the city now seems to be back to normal. However, people still live in fear of indiscriminate attacks. 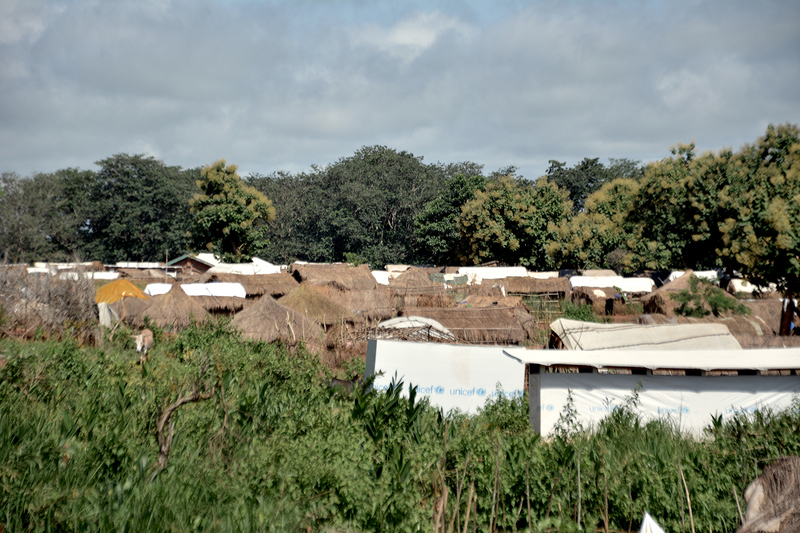 The recent flare-up of violence left Bambari’s inhabitants, already deeply affected by the 2013-2014 conflict, with a bitter feeling of déjà-vu. “Already in 2014, we had to flee our homes because of armed groups’ threats. Now, we had to leave the IDP camp. I try to stay hopeful, especially for my children, but fleeing constantly from one place to the next has taken all of my strength,” admits C, whose face shows the tiredness of years spent trying to escape the violence. 1: Only the first initial of the name is used here, to protect the person’s identity.